Let us win you any amount of wins on any skill rating. Once you place the order we will play on your account until we reach the number of wins you ordered. 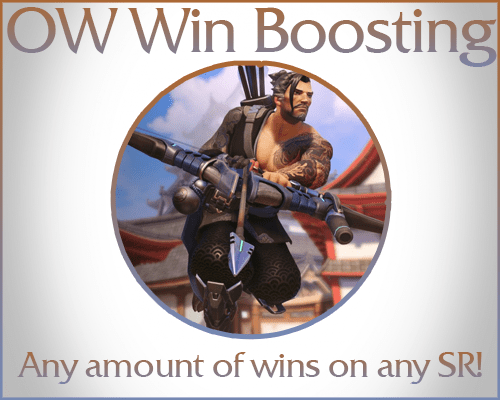 These are net wins - meaning if you buy 8 wins - the boost can go 8:0, 9:1, 10:2 and so. We also boost on Xbox and PS4 for the same price! All of our boosters are instantly notified of your order once you place making it to be started very fast. Also feel free to chat with your booster on our site! Can I play on my account while the booster is offline? Yes, you can play Quick Play or Brawl but not Competitive Play. Delivery time depends on how many wins you desire. For example, 15 Wins would take approximately 12 hours or less.